This article is the second in our KRSeries ahead of APRICOT 2019 in Daejeon, South Korea. Read the first article here. Since the beginning of time, humans have developed origin stories to explain how elements of the natural and social world came to be. Now arguably as powerful and pervasive as any significant natural phenomena, the Internet has a number of origin stories; the most popular is that of ARPANET. First conceived in the USA in 1967 and tested two years later via the interconnection of four US university campus computers, ARPANET is largely held to have been the network that became the basis for the Internet. There is another important origin story to tell; one that would lead to the introduction of the Internet in the Asia Pacific and the creation of APNIC. 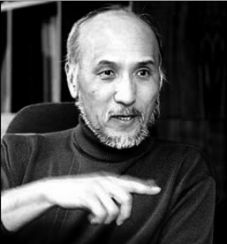 Born in Japan in 1943 to South Korean parents, Kilnam Chon graduated from Osaka University with a Bachelor of Science degree in Electrical Engineering in 1965 and then a PhD in Systems Engineering from UCLA in 1974, during which time he studied with Leonard Kleinrock, who oversaw the team that sent the first message across the ARPANET. Kilnam wasn’t involved with the ARPANET, though he did have a keen interest in wireless communications, which he worked on as a computer system designer at Rockwell International and a technical researcher at the Jet Propulsion Laboratory. Still, the concept of ‘internetworking’ intrigued Kilnam and, in many respects, inspired his research when he returned to his parents’ homeland South Korea in 1979 to take on the position as Principal Investigator at the Korea Institute of Electronics Technology (KIET). The South Korean government recognized the potential of science and technology as a means to fast track its economy and development in the 1960s, establishing several government funded research institutes, including KIET, to head up R&D and drive local industry. Although Kilnam’s priority was to oversee the development of South Korean-made computer systems, he recognized the developmental potential that networking could also provide South Korea. Unfortunately, the government didn’t share his vision. “If we succeeded in developing independent computer manufacturing technology, we would be the 20th economy in the world to do so. But it was possible to be the first or second in the world to develop the Internet,” remembers Kilnam. “We wanted to bring ARPANET technology into Asia. Looking back, we may have called it ‘Connecting the next thousand’, since there were less than 10,000 ARPANET users at the time. Not to be discouraged, Kilnam continued to explore the concept with his students at his part-time job at Seoul National University (SNU) and eventually received support to develop what would be the second example of an early Internet network after ARPANET — the System Development Network, or SDN. The initial network consisted of two nodes — one at KIET the other at SNU — via a 1200 bps leased line. Importantly, it implemented TCP/IP which researchers in the USA – most notably Vint Cerf and Bob Kahn – had built for a revised incarnation of the ARPANET. An interesting side note in this origin story is how Kilnam and his students developed a router, using standard documents, based on software implementation of TCP/IP routing. This was because they could not acquire a physical router from ARPANET and commercial IP routers were also five years away. The network went live in May 1982, before the ARPANET was officially converted to Internet Protocol. By 1985, it was connecting around 20 universities, national research laboratories, and corporate labs as well as various sites in Asia, North America and Europe. By 1986, South Korea was assigned its first public IP addresses (128.134.0.0) and initiated the .kr country code top-level domain. Aside from his technical achievements, Kilnam has also played a significant role in developing the next generation of Internet leaders. His teaching methods during his 26 years as professor at the Korea Advanced Institute of Science and Technology (KAIST), have been termed ‘physically and mentally hard’ and ‘unusual‘, as he sought perfection. “My goal was to cultivate at least one student every five years to become a scholar of my level. I believed that producing five such scholars in 25 years as a professor meant success.” He exceeded his own expectations, producing 11 students with a doctorate degree. For the Internet to truly develop and spread, Kilnam also recognized the importance of cultivating human networks as well. He played a significant role in establishing and chairing several regional and international organizations (see below), of which the APNG had the most impact on the history of both APRICOT and APNIC. Organized the first global Internet conferences, the Pacific Computer Communications Symposium, held in 1985. Asia Pacific Networking Group (APNG) in 1991, an organization whose sole purpose was to advance networking in the region. Asia Pacific Advanced Network (APAN) in 1996, the backbone network that connects the research and education networks of its member countries/economies to each other and to other research networks around the world. Asia Pacific Top-Level Domain Association (APTLD) in 1998, an organisation representing ccTLD operators in the region. Established the APNG Camp to develop the next generation of Internet leaders. Co-chaired the Coordination Committee of Intercontinental Research Networking (CCIRN). “I chaired the first APNG formal meeting in 1991, at which one of the agenda items was the need for a Regional Internet Registry in the Asia Pacific, which we approved,” recounts Kilnam. A new origin story beckons for Korea? After Kilnam retired from KAIST, he assumed professor positions at Keio University in Japan and Tsinghua University in China, as well as Professor Emeritus at KAIST. The positions have allowed him to reflect on the technological achievements of the past — detailed in his An Asia Internet History series — and how they have influenced the present and shape the future. He has admitted in previous interviews that South Korea may not have been ready for nationwide Internet, having had a five-year start on other leading Asian economies. However, he feels it has been proven as a great test case for the rest of the world, which comes with being a leader. Looking forward, he believes South Korea still has a significant leadership role to play as a technological and Internet leader, particularly in cybersecurity and Artificial Intelligence (AI). “Internet AI has the potential to be a major revolution along with the agricultural and industrial revolutions or even more. The Internet can help us prepare for such a revolution,” he says. Thanks , a very good reading about Dr Kilnam Chon. Very Happy that I am working with Professor learning and contributing to the Internet with my Friends.